Tibet Home is a unit of Manjushree Center of Tibetan Culture, and is co-located in the same building. Unless you know, it's hard to think that this may be a hotel. 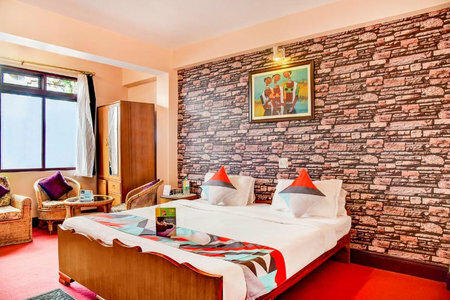 Actually the hotel financially supports the cause of the center which is a non profitable society and works on preserving Tibetan heritage and culture. 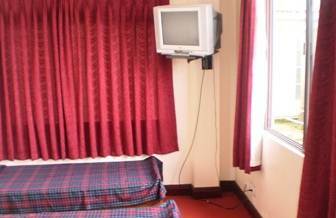 Tibet Home is a lodging only budget hotel providing 8 nice and airy rooms. You will need to open a short iron gate on the left of the building, walk in through the wooden door and reach the office in the first floor. 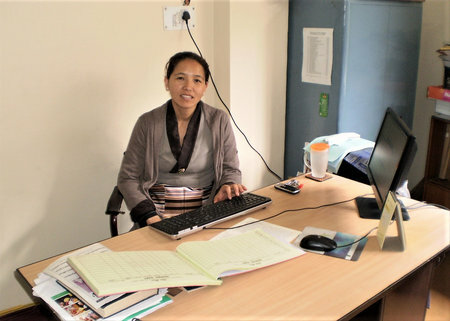 During the office hours, Mr. Dorji and Ms. Lhakpa are usually there in the office who will gladly help you with your logistics and show you to your room. As you walk up to the second floor, there are rooms on both sides of a corridor. Lahkpa mentioned that room no. 4 is the best as it has the best views. I had to agree. 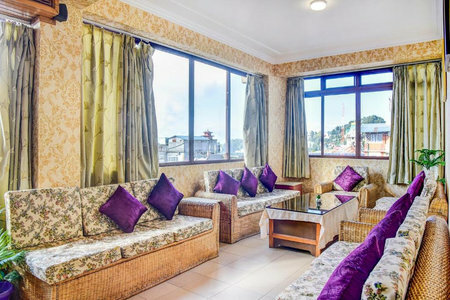 The room which is located at the end of the corridor is quite spacious and has large windows from where you can see Darjeeling's entire town landscape on the hill slope. On a clear day you can get a great view of the snow peaks from this room as well. From the room, on one side you can see the Clock Tower quite clearly which is Darjeeling's main landmark. You can see the dome of Ranga Mancha Bhawan a little far away. On the other side you will see the General Post Office and Mahakal Market, and opposite to them the Inox Multiplex and Dragon Market. So you really get a bird's eye view from the room. All the rooms are simple, nice and cozy. Most have twin beds. There are in-room TVs with cable channels. The bathrooms have geysers with hot and cold water. However the hot water is available in the morning hours and if power supply is there. While they have a kitchen downstairs, there is no food provided by Tibet Home. The Kitchen only caters to the staff of the center. The staff are very friendly and accommodative. They will try to help you and guide you with whatever you may need. They provide laundry service. At the end of the second floor corridor, there is also a wonderful lounge with wicker sofas and glass tables having large windows on two sides with excellent views. So even if your room does not have great views, you can always walk down to this exclusive lounge. So what are the other activities that take place in the building. Manjushree Center of Tibetan Culture is a society which preserves and promotes Tibetan history, heritage, language and culture. So they conduct regular Tibetan classes in the building for both locals and foreigners who want to learn the Tibetan language and history. 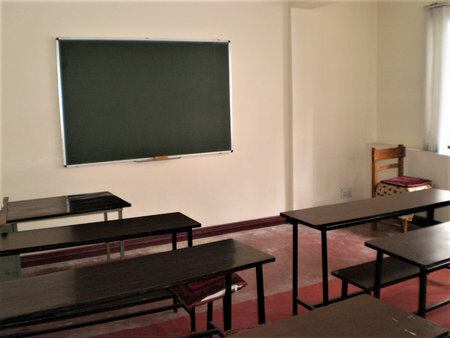 On the first floor there are class rooms, one of those is used for the local people. Classes take place from 10am to 12noon and again from 1pm to 3pm, five days a week. It can go up to 9 months for intense language courses. Part time courses are also held from 4pm to 5:30pm from Monday through Saturday. There is a membership form. Anybody interested can become a member for a nominal fee and take a course. You can write to them for the form and fees. 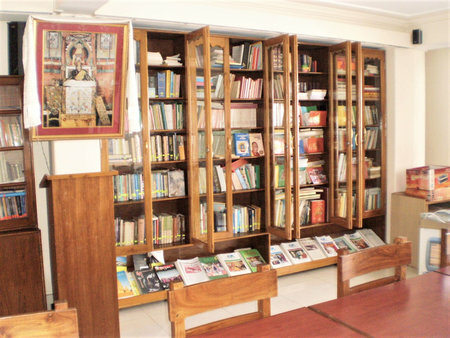 There is also a well stocked library in the center that has large collection of books, mostly in Tibetan language and history. The center also organizes seminars in Tibetan language and traditions. It's affiliated with Department of Religion and Culture of Tibetan Exile Government in Dharamsala, India. Downstairs a new museum is being constructed that will showcase many artifacts and displays of Tibetan history and culture. It has an access from outside the building. Once I went to the roof of the building to enjoy the sun and the views. There were several workers up there who were making wooden frames & blocks to be used in the museum below. 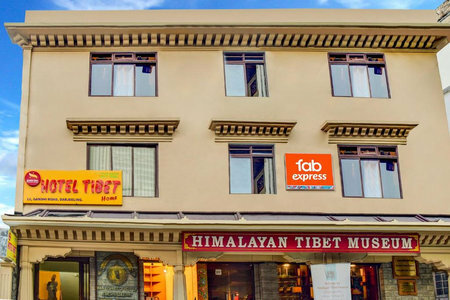 Tibet Home and Manjushree Center of Tibetan Culture are located on Gandhi Road, seconds away from the Viceroy Hotel. The road here is narrow. It's so narrow that you won't be able to take a photo of the whole building from the other side of the road. However restaurants, shops, internet cafes etc are within minutes walking distance. The Chowrasta Mall is less than 10 minutes walk. 12, Gandhi Road, Darjeeling 734 101, India.